I want to get below designed. Attached pdf is just a guideline and the jpeg picture is you to get some idea about what kind of a design I want. below people in a home environment. 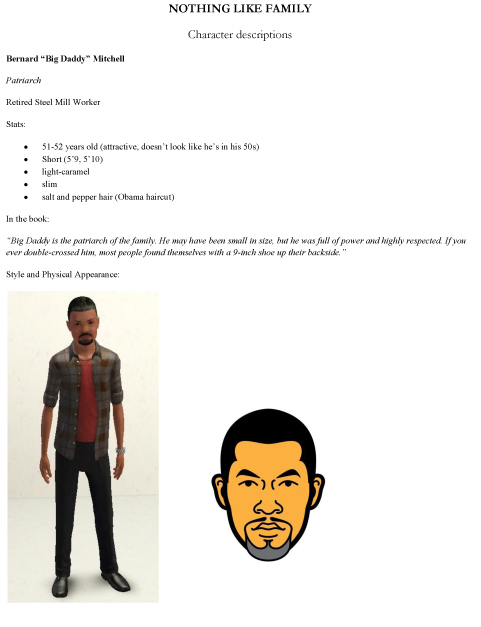 Please see pdf for more character details. Daughter : Camille Lawford, nerdy looking conservative. Daughter: Jada Mitchell, (cup cake) out going, tight clothing etc. please send me more information detail, i interest to do it for you.